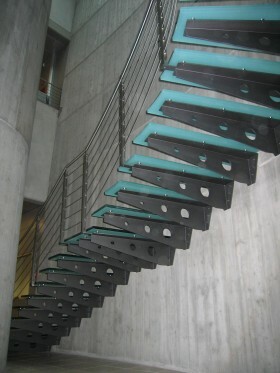 production of stairs design, helical staircases, stainless steel scales, in italy. For those who want to give at staircase a place of highest importance in a space. With the flexibility of our custom design work, PALLADIO SCALE can transform any staircase into a showpiece. The complexity of the work doesn’t fail the prerogative of our activity, i.e. customisation. By respecting our technical/architectural needs, options for materials are practically unlimited: all kind of wood, metal and glass can be used to create a unique look that is inspired by and created for your particular space. 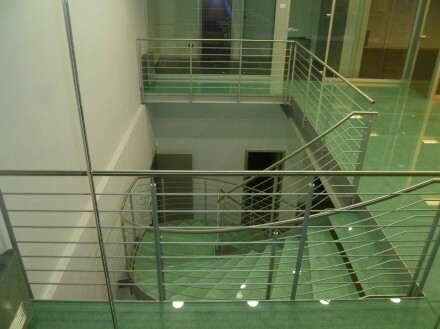 Self-supporting staircases straight or suitable for any shape. For this product category Palladio Scale offers an extremely wide range of solutions. All sorts of options are available in terms of material, finish and style. All structures, single or double-beam, straight or shaped, can be completely customised by the customer: everything can be tailor made to meet technical, aesthetic, economic requirements. The floating treads are attached on one side directly to the wall with different architectural possibilities to meet customer requirements. We can offer different solutions and price ranges. The floating staircase selection is really large: we can start from the simplicity of wood and iron staircase with downloading feet until the prestige of a floating staircase with 8-cm solid wood treads and glass railing. 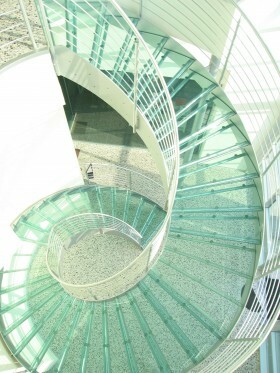 Within our range of products you can find endless possibilities of solution for spiral stairs. 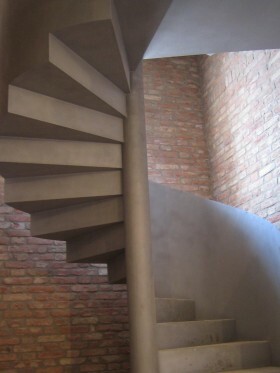 Type of staircase, once snubbed, nowadays with the right expedients it can give life to refined or even sculptural results. Your aesthetic and spending needs will lead us to find the right supply. 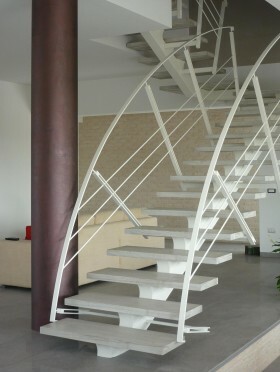 Mezzanine floors, walkways, pathways, can be exploited to give a touch of personality to a space. Combinations of materials, color contrasts, your ideas and the support of our designers will be the weapons to create exclusive results.